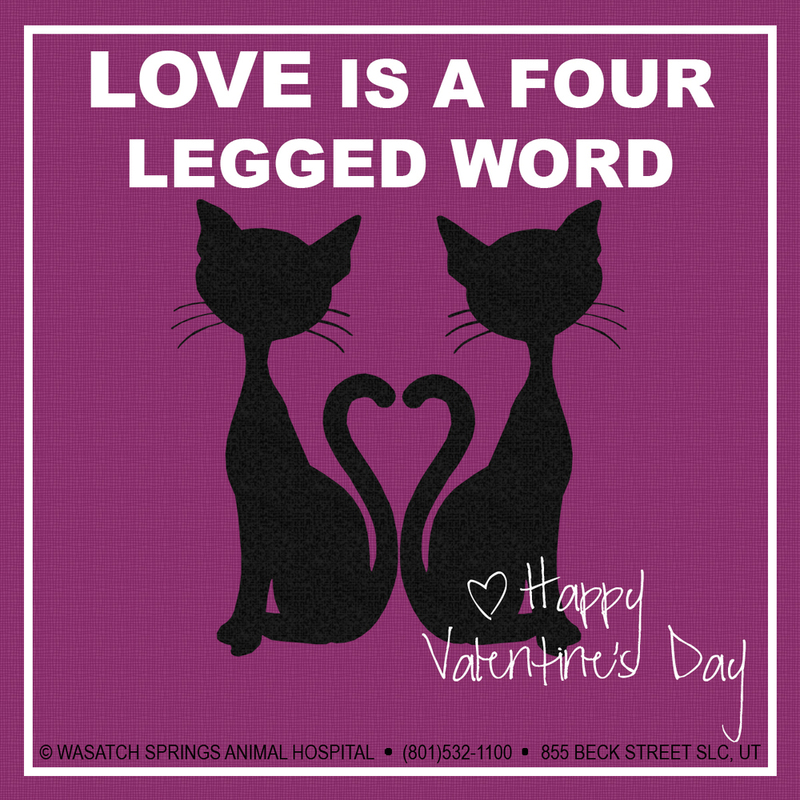 Look no further for the Purrfect Valentine's Day cards to share with your family and friends!! Choose one (or all!) of our special Valentine's Day Cards. Share the card on your Facebook wall so all your friends can see, and invite them to share the cards as well! You can also post the card directly to your friends wall. Simply save the image(s) to your computer and upload each as a special post, with your personalized Valentine's Day greeting. Feel free to share the cards on Twitter, Google+, Instagram or via email. Or simply print the full page of cards to hand out in person. 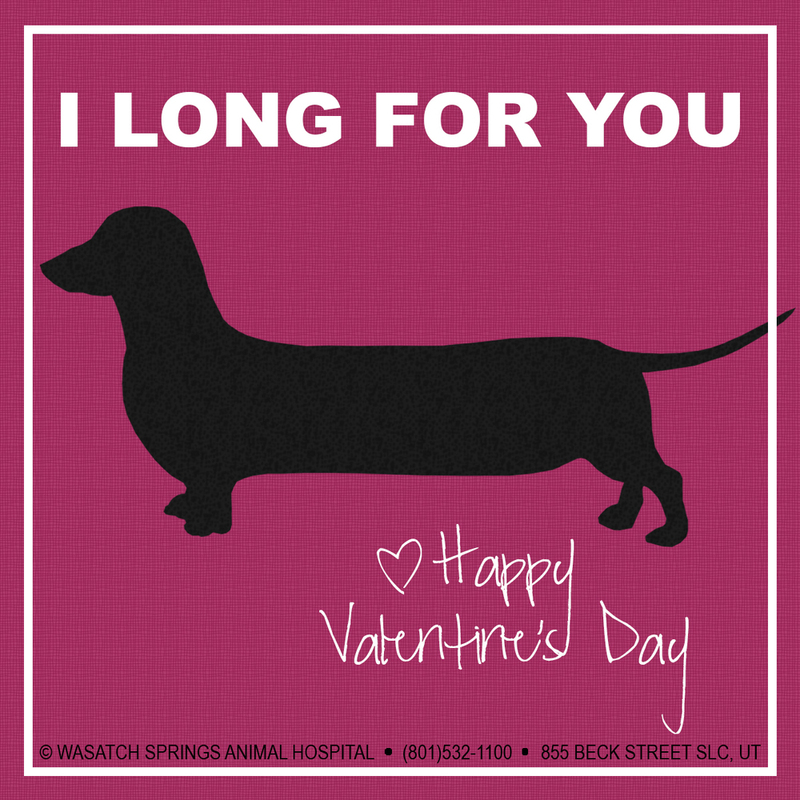 From everyone at Wasatch Springs Animal Hospital, Happy Valentine's Day!! 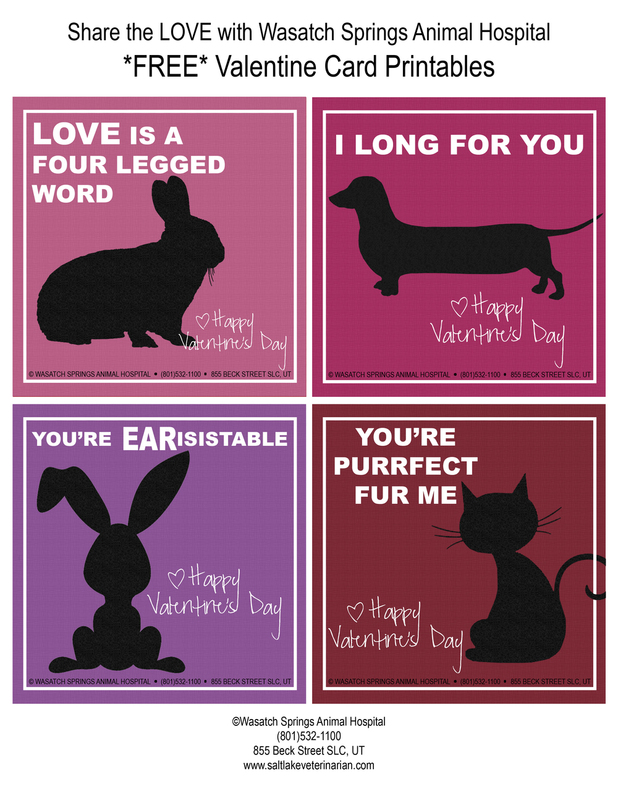 Below are the full page Valentine Card Printables! !